Kirkland dental clinic earns top honors for the second time. For the second year in a row, Kirkland Family Dentistry received the Best of Kirkland award in the dental category. The office received the same award last year. 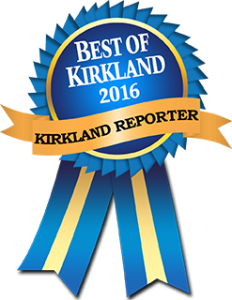 The Kirkland Reporter invites readers to vote for the “best of” in many business categories across the Kirkland area. “We were surprised and hugely honored to receive this award last year. 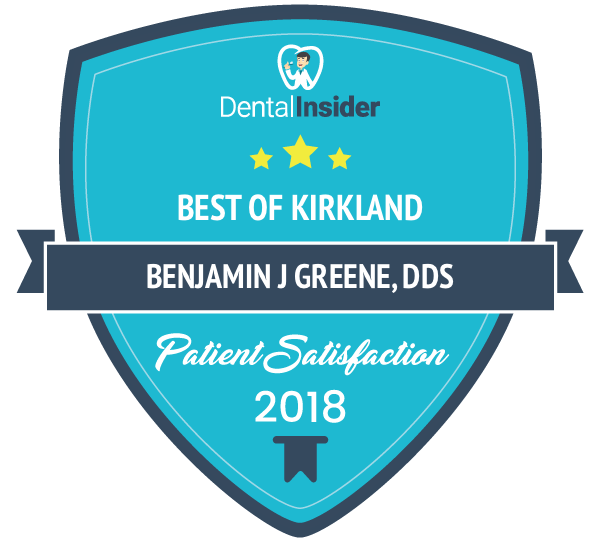 When the newspaper readers voted us best dentist in Kirkland for the second year in a row, we were very humbled and thankful,” said Dr. Jonathan Everett. The contest covered many more dental clinics across the Kirkland, WA, area. Last year the clinic celebrated its 26th anniversary, expanded, and brought in a new dentist, Dr. Jonathan Everett. Both dentists at Kirkland Family Dentistry attributed the two “Best Dentist In Kirkland” awards to the hard work of the entire staff at Kirkland Family Dentistry.